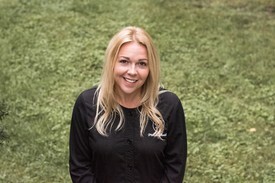 Amy graduated from Elmira College in 2001 with a Bachelor's in Biology. In 2003, she earned her Certification in Dental Assisting and Radiology. She has been assisting chair side with Dr Holiman since, and has helped ease many patients anxiety over these years. 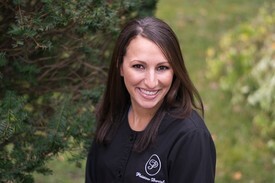 Amy's love for dentistry is driven by a patient's transformation, both physically and emotionally, when they look in the mirror and fall in love with their reflection. Her love for learning in the dental field allows her to continue with furthering her education whenever it is possible. In 2015, she became Nationally Certified as a Dental Assistant. From there, she earned her newest Certification for Expanded Functions Dental Auxiliary. Amy was 1 of 10 for the pioneering class in the State of NH allowing Dental Auxiliaries to place restorations. Amy loves spending time with her high-school sweetheart, whom she married in 2005, and her children. In her spare time, she loves to read, knit and scrapbook. 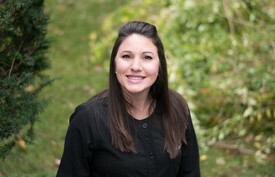 Laurina graduated in 2007 from New Hampshire Technical Institute with a certificate in dental assisting and radiology. She joined our team in 2016 and has been assisting chairside for 10 years, . She is caring and compassionate with all of her patients, and helps put each person at ease with her humor and laughter. Laurina spends all of her time with her close friends and family. She appreciates every extra minute with her son. Not only does she have time with her son on the weekends, but during the week after work as she has most of her day left reflecting our new office hours. Kate graduated in 2011 from Northern Essex Community College with her dental assisting & radiology certificate. She took her degree a step further and got nationally certified through the dental assisting national board. Though she recently joined our team in June 2017, she has assisted chair side for 6 years, and has worked as a Patient Care Coordinator since 2013. The hours Kate work are perfect for her, as she is a newlywed & spends all of her time with her husband and daughter. They enjoy taking their dog Stella to the park & on long walks. In the winter time they head up north as a family to snowboard and ski. 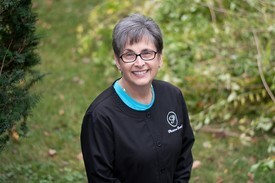 Jan graduated from the University of Pittsburgh and has been blessed to be able to work with Dr. Holiman for almost 20 years. She stated that "It has been a wonderful experience". The staff is great and many of the patients she considers to be friends. How nice it has been for Jan to watch kids grow visit after visit. The best part of Jan's profession is making a difference in someone’s life just by improving their smile and oral health. Jan has three grown children and six grandchildren. They keep her very busy when she is not working. She enjoys reading, baking (chocolate chip cookies are her specialty), and biking with her husband. 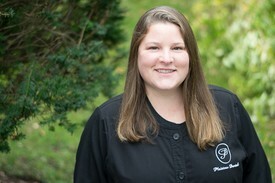 Sarah graduated from New Hampshire Technical Institute in 2010 with her license in Dental Hygiene Science. She realized early on in her education that she had found her passion. She is local anesthesia certified and loves attending continuing education courses to further educate herself for her patients. She specializes in pediatric and special needs dental care, but loves working in a general practice where she can build relationships with patients of all ages. She is married and has one son. She enjoys being outdoors, reading, traveling, and decorating cakes for friends and family. Jocelyn joined our team in August of 2017. 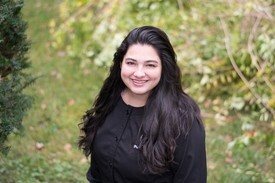 She graduated from Middlesex Community College in 2010 where she received her Associates of Science in Dental Hygiene. 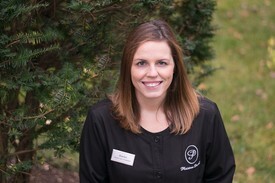 Between dental assisting and dental hygiene she has played an active role in the field for over ten years.Jocelyn is passionate in learning more about her patient’s individual needs at Plaistow Dental and making sure they receive optimal care. In her spare time she enjoys exploring the woods with her husband Andrew and their two boxers, Lucy and Etta. Her other hobbies include yoga, photography, and home decor. Natasha joined our team in March of 2015. 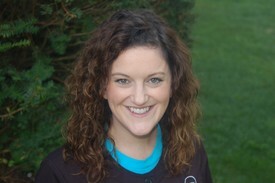 She has been in the dental field as a Patient Care Coordinator since 2009. She handles most of the dental insurance claims and financials in our practice and truly loves what she does. She enjoys getting to know each and every patient and always has a smile on her face. She speaks both English and Spanish. Natasha is married to her high school sweetheart and has 2 children. She enjoys camping, 4-wheeling, making crafts with her children and spending time by the pool with her family and 2 dogs Bella & Opie. Ashley joined our team in July of 2018. She graduated from North Shore Community College in 2007 with a Cosmetology and Business degree. Ashley began working in the dental field as a Patient Care Coordinator in 2014. She truly loves helping patients understand all aspects of their treatment. Ashley enjoys spending her free time with her husband and two children. They enjoy going to their family lake house, the beach and adventures outdoors. Jacky joined our team in August 2018. She has recently moved from Florida where she was an orthodontic dental assistant for over ten years. She has been a patient care coordinator since moving to New Hampshire. She loves learning about general dentistry and helping out patients in any way she can. Jacky enjoys spending her free time with her pets and exploring New England with her husband.